Football fans love the Premier League. Nearly nine million tickets have been sold for matches this season already, and for those who cannot attend in person, the Premier League is shown in 212 territories in the world by 80 different broadcasters (reaching an audience of 4.7 billion people last season). The upsets and competitiveness of the competition this season will only benefit its popularity for the years to come. Many parties want to use the Premier League for their own gains, from players who want to become successful, to owners who want recognition for their nation, company or organisation, and the English FA, who want the world class football in the league to translate into the national team’s performances. Greg Dyke has spoken a number of times about making the national team at least as important as the domestic competition and wants to form a symbiotic relationship between the two. One of the ways to do this, he says, is to increase the number of home grown players in the competition. 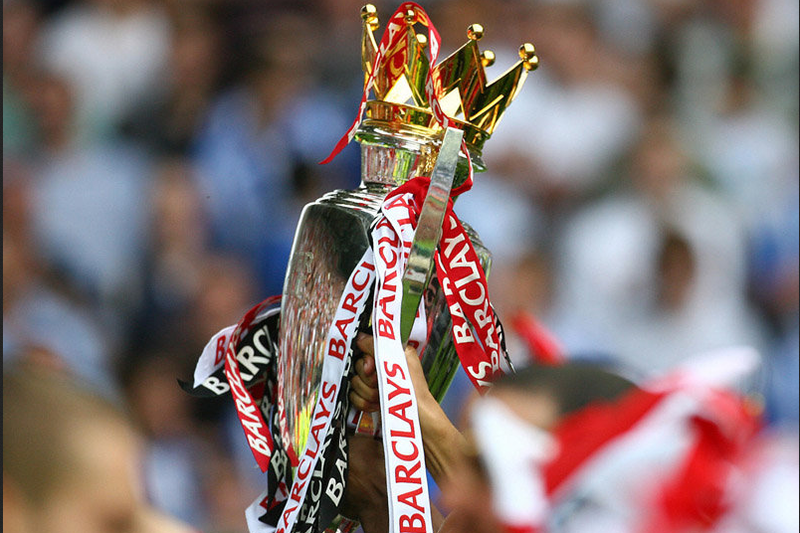 Currently, the Premier League is made up of 32.26% home country players. Critics point to Spain and Germany where the domestic competitions are dominated by Spanish and German players (59% and 50% respectively), and believe this has translated into national team success. However, another way to look at the 32.26% figure is to consider what an incredible proportion of players from Britain are included in what many consider the top league in the wold, when the number of Spanish players based in the league is just 6.27% and the number of French is just 8.1%. Those home grown players must be contributing hugely to the success of the Premier League. This has made the Premier League’s decision to stitch up and hinder the grassroots programme in Britain, which is so vital to its success, seem so odd. Instead of upholding their promise to give 5% of their £5.5 billion income to grassroots football, it has only delivered on aiding the system with less than 1% (along with government and FA cuts). This has the knock on impact of increased pitch prices, higher payments needed from players and parents and even more work from the incredible volunteers who give up their time and money to coach youth football in Britain. These volunteers are what drive the majority of clubs forward, and they are an indispensable force without which grassroots football wouldn’t exist. As well as their own personal, work and financial commitments, they now seemingly have to deal with criticism from their own superiors, who are quick to shift the blame from themselves. Managers in the Surrey County Women’s and Girl’s League under 10s division have been contacted, and some criticised, for allowing their teams to record “cricket type scores against their opponents”. The email goes on to say that “winning games by 10 / 15 goals does absolutely nothing for the development of either team” and that these scores are being inflicted by “those who perhaps actively recruit the better players, build strong squads and are quite competitive in their ethos” against those who “are happy to accept players of any ability with little or no experience of football and the ethos being more the taking part”. There is no doubt that in youth football, for both boys and girls, it is extremely important to get children into the game for whatever reason because it promotes a healthy lifestyle and teaches them social skills that they will always have. However, what is the sense in promoting a race to the bottom by suspending high scoring games (a suggestion from the email) when you could in fact put coaches from the weaker teams into more coaching courses? Football being good and fun isn’t a choice between the two: both can be achieved by coaches being given the support to get their qualifications. Rather than put the poorer performing teams into a separate division (another suggestion in the email) the local FA should look to bring up the standard of football for every participating team. At the moment, coaches are expected to pay for their courses out of their own pocket and give up precious time from work or their families to attend classes. Although local FAs, including the Surrey County Women’s and Girl’s League, do subsidise these costs, they can still prove out of reach for many volunteers, who also cannot spare the time to complete the course, no matter how high the quality of the teaching is. It isn’t just about attracting players, the game also needs coaching. If the FA would improve funding for the grassroots project, they could be cheaper, more flexible and less time consuming for all involved, as well as more successful and enjoyable, but this is where the Premier League’s actions come into play. Without an invitation to their decadent banquet of cash, the grassroots system may yet wither away.